Yeah, yeah, I know. You’re getting bored with all this soapy stuff, right? I apologize but I made another one last night. 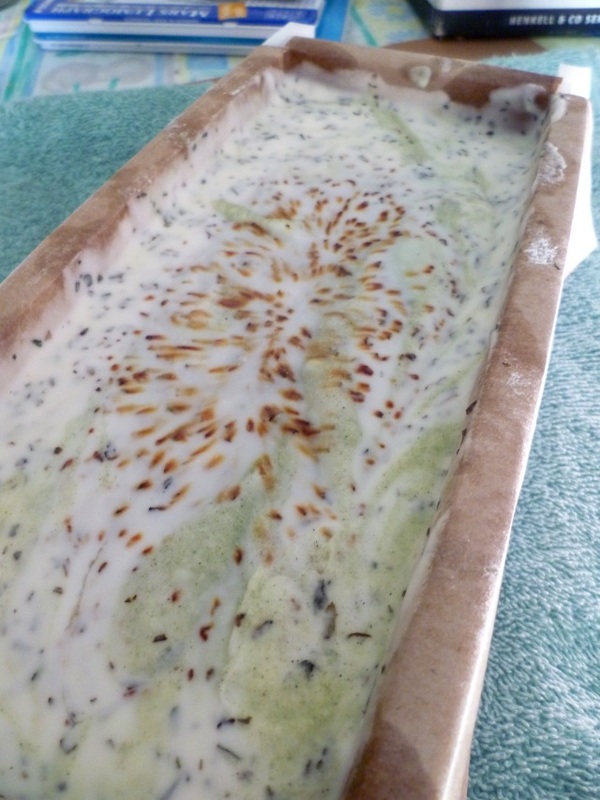 John was watching a movie that I wasn’t terribly interested in so I made soap. It isn’t ready to cut yet but I did take it out of the mold; now it can cure until tonight or tomorrow, when it should be ready to cut. First though, Sandie asked whether or not soap can go bad. The short answer is maybe. Here’s a link that can explain it way better than I can. As you see, it depends on several things – the amount of lye (have all the oils been saponified? 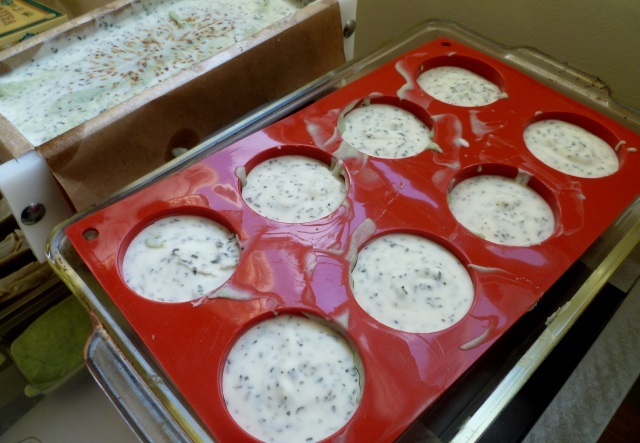 ), the oils, the additives, and even the conditions in which the soap is stored. 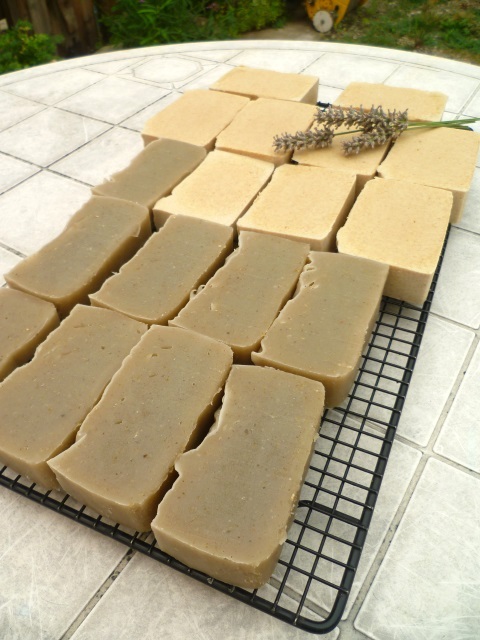 A soap like Castile soap (made with 100% olive oil) can last for years and years if stored in a dry place. It becomes harder with age and the harder it gets, the longer it lasts. Soaps that are scented or coloured may lose their scent and/or colour in time but, unless it smells off, the soap is still safe to use. Hopefully, it isn’t something I’ll have to worry too much about. I have a feeling my soaps will be well used. 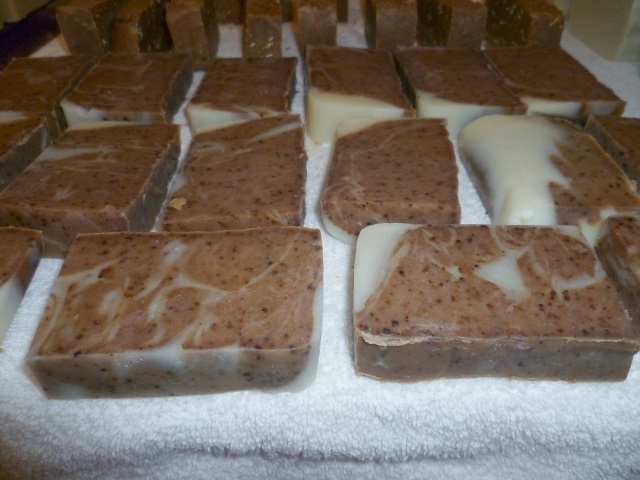 I’ve already been using some; each morning, I’ve been washing with my Coconut Milk soap. Oh my, do I love that one! It lathers beautifully, a nice creamy lather that washes away and leaves my face feeling clean but not stripped. There’s a sample piece of the Java Jumpstart soap at my kitchen sink and it, too, lathers beautifully with just the right amount of “scrubbiness” from the coffee grounds. The scent lingers on the hands after washing, a nice light, fresh scent. Yesterday, I sampled one of the shaving soap “cakes” and I can report that it, too is great. I’m just waiting for John to try it; I really want a man’s perspective on that one. It’s unscented on purpose because I know that some scents can be drying and/or irritating to sensitive skin and John does have sensitive skin. A thought just occurred to me… how would a contest go over right about now? 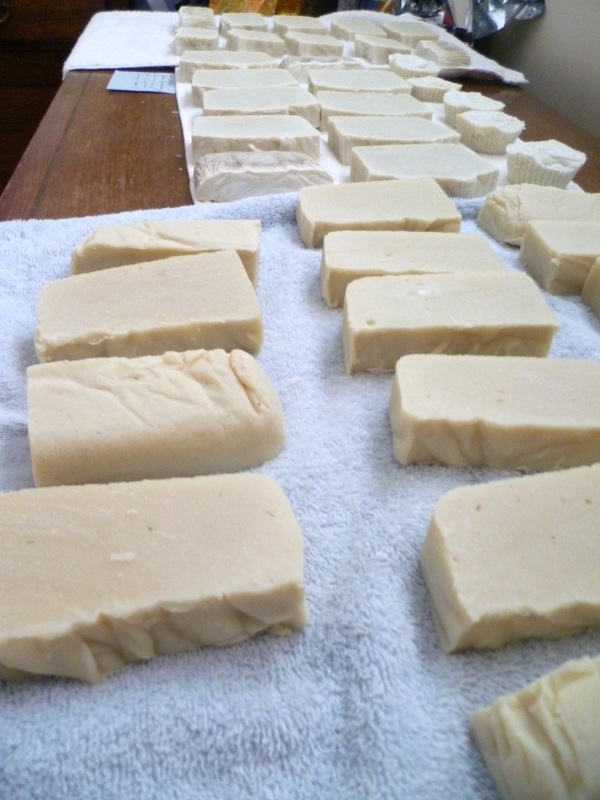 With fall looming on the horizon, I have a harvest of soaps; what if we have a draw for a soap sampler…. say, six different sample bars? Samples are approximately 1-2 ounces each. Let’s see…. I’m not going to just give them away. I need something from you, too…. but what? I know! To be entered into the draw, tell me your favourite thing about fall. I’ll hold the draw in about one month, Saturday, October 10. What’s your favourite thing about fall? Leave your response in the comments (on the blog, not on Facebook) and you’ll be automatically entered (unless you tell me you don’t want to be entered. ).